The television shows Strictly Come Dancing and So You Think You Can Dance have catapulted ballroom and Latin dance into the mainstream – never have these dance disciplines been so popular! This elegant dance form originated in the eighteenth century ballrooms of Europe – where members of the aristocracy would gather to hob-nob and, of course, waltz. By the 1920s, those in the working and middle classes had become fans of ballroom dance – emulating the upper classes by holding their own social dances in dance halls in villages, towns and cities across Europe and North America. Soon, this social pastime took a competitive turn – steps and techniques were formalised and standardised, and ballroom dance became a competitive sport on a global scale. There are five types of standard ballroom dance – The Modern Waltz, the Viennese Waltz, Tango, the Slow Foxtrot and the Quickstep. Try your hand at all of these at FloorCraft Dance Studio – we offer both individual and group lessons, for competitive and social dancers. Trust the Latins to put their own spin on things! Latin dance evolved in the late nineteenth and early twentieth century from traditional ballroom dance, and reflected the emerging cultures of Latin America and the Caribbean. Here, European, Hispanic and African cultures merged and forged a new, exciting dance style – sultry and, even, at the time, somewhat scandalous! 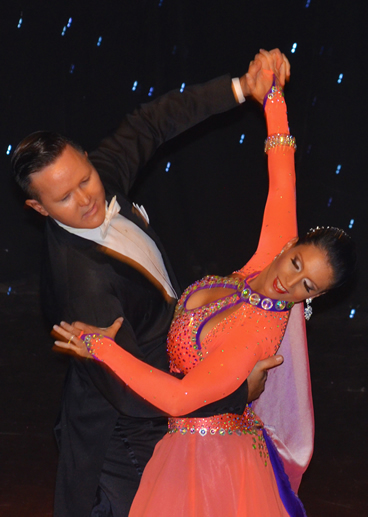 Today, the Latin style is a major dance-sport across the world, enjoyed by competitors and spectators alike.